Don’t leave your dog out of the festivities this Halloween. Geek up your best friend with a Star Wars costume. Make something cute (your dog) even cuter (dressed up dog). 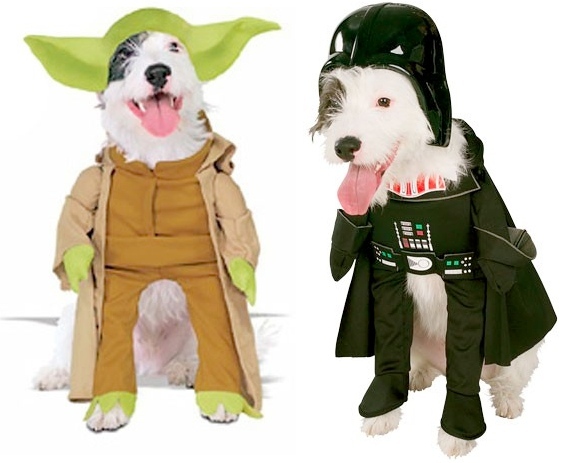 Available in dog Yoda or Darth Vader (dog Vader). Each comes with a headpiece and a jumpsuit. May the bark be with you.